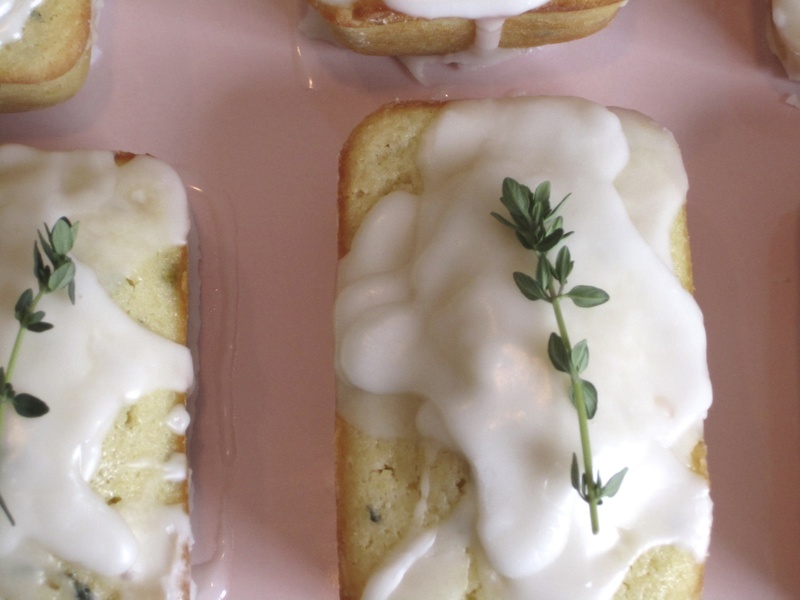 Mini Lemon Thyme Pound Cake recipe for Spring! 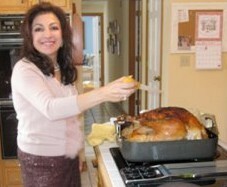 Spring is synonymous with cooking and baking with lemons, especially in desserts. This pound cake recipe is unique, creating mini lemon pound cakes with thyme on top for an elegant and delicious treat. Mini pound cakes are perfect with tea or coffee, and the lemon and thyme make it both refreshing and sweet. Enjoy at morning brunch or as an afternoon snack. In a small bowl, whisk together juice and confectioner’s sugar until smooth. For a thicker glaze, add more sugar. For a thinner glaze, add more lemon juice. Grease and flour an 8-well mini loaf pan. In a medium bowl, combine flour, cake flour, baking powder, and salt. Sift three times and set aside. In a small bowl, combine buttermilk, lemon zest, lemon juice and vanilla. Set aside. In a large mixing bowl, using a mixer at high-speed, beat butter until creamy, about 2 minutes. Add sugar and continue beating until light and creamy, about 5 minutes. Stop mixer and scrape down sides of bowl. Add eggs, one at a time, beating well after each addition and scraping down sides of bowl. Reduce mixer speed to low and add flour alternately with buttermilk mixture, beginning and ending with flour. Fold in fresh thyme. Divide batter between loaf wells, filling each about 3/4 full. Bake for 20-25 minutes or until wooden toothpick inserted in the center comes out clean. Transfer pan to a wire rack and cool for ten minutes. Remove mini loafs from pan and cool completely. Decorate with fresh thyme. Can be stored in air tight container for up to five days.